I never got to thank you for this beauty! It was amazingggg!!!! Really good! Everybody loved it! 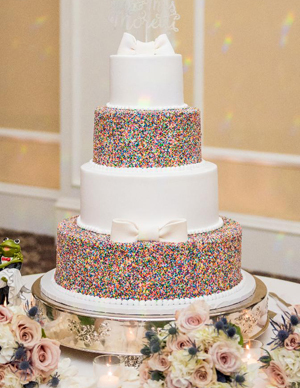 I know it's been a few months, but we got all of our wedding pictures and I wanted to send over a picture of the cake. 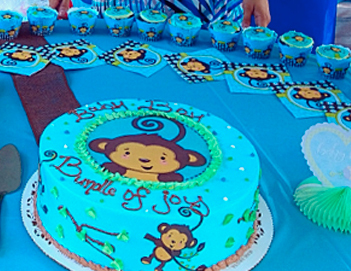 We absolutely loved how the cake turned out and it was delicious! Just wanted to let you know that your scroll tiramisu cake was a huge success! Everyone loved the way it looked and LOVED the way it tasted. I stumbled upon your bakery by googling "Bakery in Stamford" . Something about your website caught my eye. I live in NY , not to far but there are several bakeries near me. You are now my favorite Bakery! I will continue to purchase all my goodies from you! And highly recommend you to all. Actually, I highly recommended you right after my tasting because of the warm welcoming family feel I had from the first time I walked in for my tasting. My cake was absolutely beautiful!! Breathtaking!!!! Perfect!!! 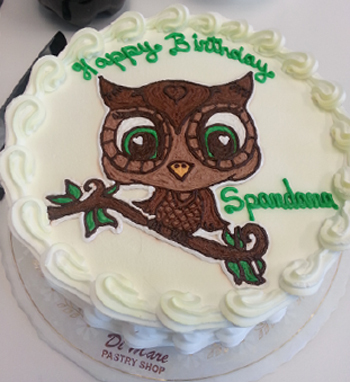 Thank you so, so much the cake made my day! So delicious and moist everyone loved it!! 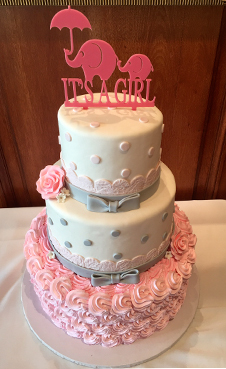 I just wanted to thank your team for the wonderful job you did on my daughters baby shower cake on August 6. It was absolutely gorgeous. Everyone kept saying it was the most beautiful cake they had ever seen! And of course, as always, delicious!!! From placing the order, to the delivery, everything was perfect. It is always a pleasure to do business with DiMare and will continue to tell people how awesome you are!! 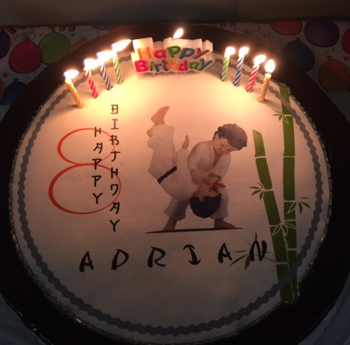 Thank you for making such a wonderful birthday cake for my son's 16th birthday. It was perfect!!! The detail was so impressive. Everyone was in awe at the party. It really was exactly what we were hoping for...thank you! And it tasted just as great as it looked! 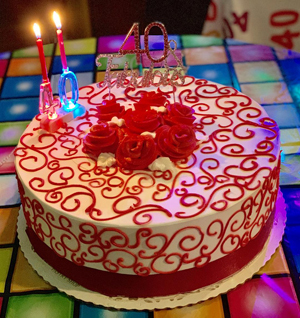 We were all so amazed how moist and delicious the actual cake part was after traveling with it in the car for 4 hours and having it stay in our refrigerator for another 24 hours. It was fresh as ever! My husband does a lot of business in Stamford so we will definitely be back! the image design and how beautifully it came out. 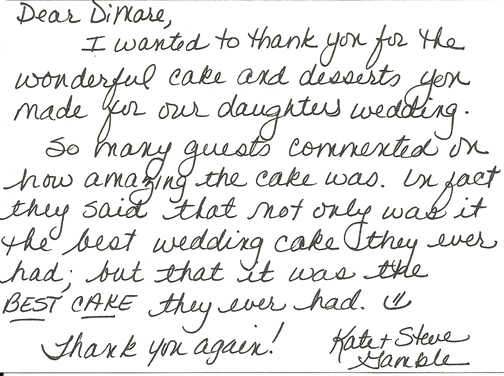 Thank you again- we've been getting cakes from you since 2007 and absolutely love your bakery. 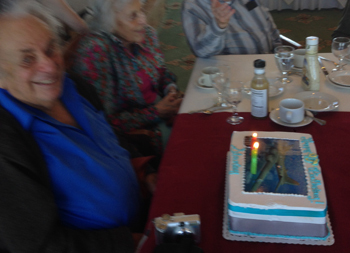 I have to thank you SO much for doing an AMAZING job in creating a B-17 photo cake for my Dad's 90th Birthday Party! He was a navigator in WWII and it was a special time in his life. The cake came out perfectly! I spoke with your daughter Gabriella and she was an expert. She promised to get it all right -- and she did! Even in drawing a little garage that my Dad saw from the air when he was flying one day and was lost! AUSTIN GARAGE! 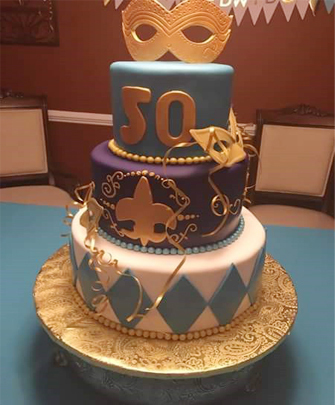 The cake looked amazing, and was delicious as well! Not a crumb went to waste! 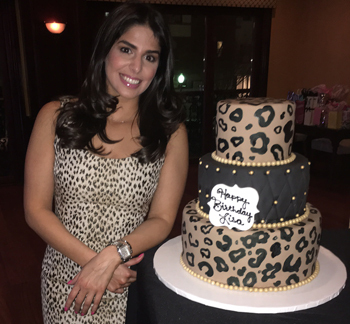 The personalized cake really made the party that much more special and unique! 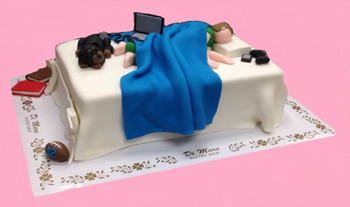 I thought for a second about putting a picture of a person on the cake, but then eating it seemed weird and funny! I have only the best things to say about DiMare Pastry Shop and would definitely consider using you again in the future. You can give out my name as a reference any day! 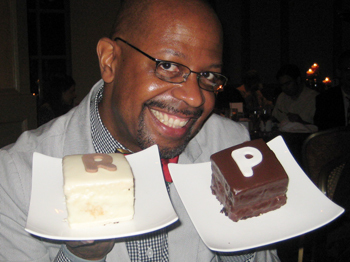 Here is a photo of my Dad with a big smile in front of the cake. Sorry photo is blurry -- but you can see how happy he is! The cake was a big surprise! 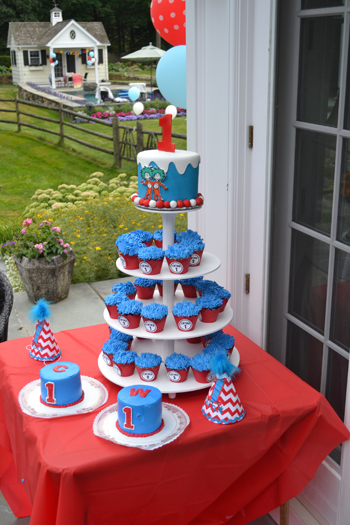 Just wanted to thank you for your great work on our birthday cake and cupcakes for our thing 1 and thing 1 party. It was a huge hit and so delicious! Your cake was a huge hit. Thank you very much for the absolutely stunning and breathtaking wedding cake that you created for Ryan and myself on Valentine's Day. We were obsessed with it in every way possible. You truly exceeded our expectations on every single level. 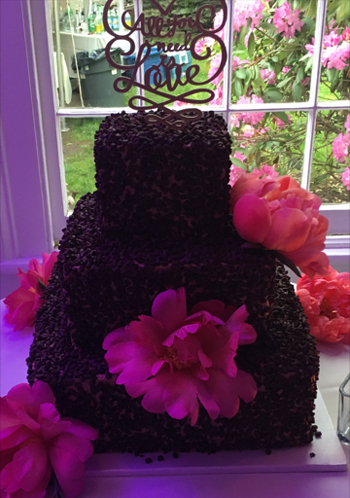 The cake was EXACTLY how I envisioned and MORE! I think it was our favorite part of the wedding. My goodness, just fabulous. The diamonds, the bling, the pin cushion, all breathtaking. We can't wait to get more goodies from you soon. Lots of love! Would you like me to send some pictures your way? You are amazing. The owl is AWESOME!!! Whoever drew that has some serious skills. Spandana loved it so much she began to cry. 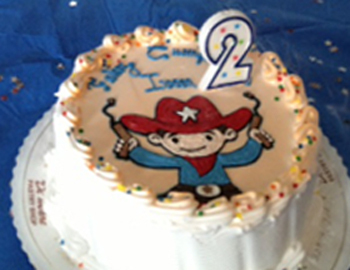 I wanted to thank you for the beautiful cowboy cake you made for my son Ivan last weekend! Everyone loved it! The cupcakes were very cute too and you went above and beyond by adding the little western themed toppers! I appreciate the time and attention to detail. You will be hearing from me again soon! 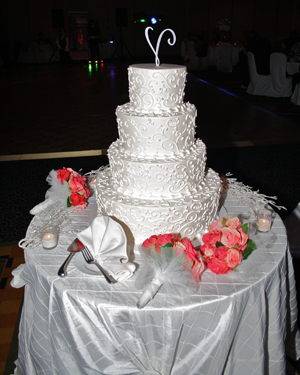 Thank you is not enough to express my gratitude on the most beautiful cake in the entire My husband and I got married , November 26, 2011 at the Crown Plaza in WHite Plains. Everyone loved the strawberry shortcake. It was perfect and sooooooooo good!!! So good- that the entire cake was eaten - no leftovers!! Not even the top!!! Now when we celebrate our 1 year anniversary, next November, we will need to visit you again to get another strawberry shortcake . - You guys are the best. In all the excitement before and after our wedding, Mitchell and I neglected to send you a photo of the finished wedding cake that you created for us for September 4, 2010. It was truly a spectacular success; thank you so much for creating something that we will remember for a lifetime. 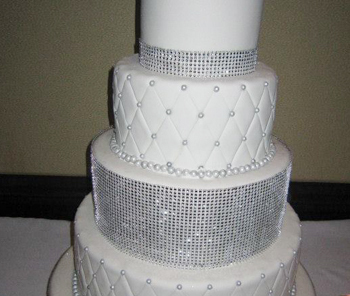 Attached are several photos from the wedding, and that amazing wedding cake! 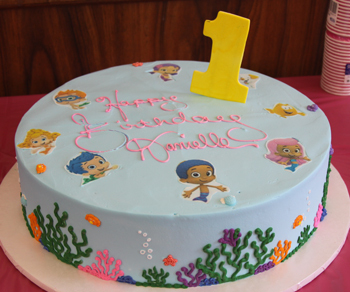 I wanted to email you and tell you what an amazing cake your team created on Saturday for my daughter. Everyone just loved it, especially our little girl. It was so beautiful we did not want to cut into it. The design the taste was absolutely amazing. 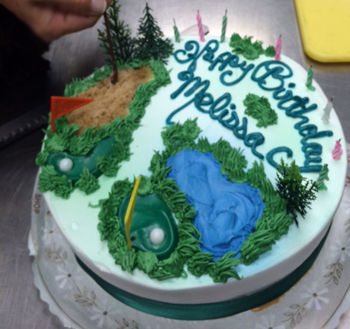 Words can't express how thankful and grateful we are for the beautiful/delicious cake your team made. Thank you, The Cake Was Amazing! 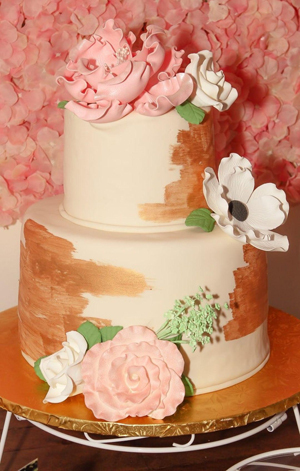 Just a quick thanks to say the wedding cake was absolutely gorgeous and exactly what we envisioned! It was perfect and tasted great! Everyone loved it. The grooms cake was also perfect and a huge hit!! 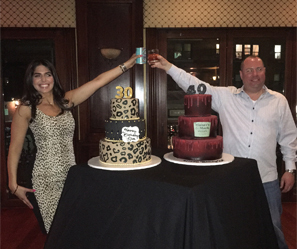 Thank you so much for all of your help and for making both our cakes so amazing!!!! Just wanted to thank your bakery and staff for the wonderful Texas Cookies you made for our daughter on June 9th. Not only were they delicious but looked great! A true hit with our many guests. Thank you for your efforts and it was a pleasure working with you. 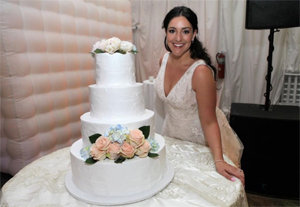 "Thank you for such a beautiful Zebra wedding cake for Melissa. It was just perfect & tastefully done. The grooms cake was adorable, he loved it! Everything was Perfect! It was a pleasure doing business with you." Just wanted to thank you for the beautiful wedding cake of a snow covered mountain. It was so amazing!! My daughter and son-in-law loved it. It was perfect. We even had the waitresses taking pictures and saying they never saw anything like it so thank you Sabrina and whoever worked on it. It was delicious too!!!"